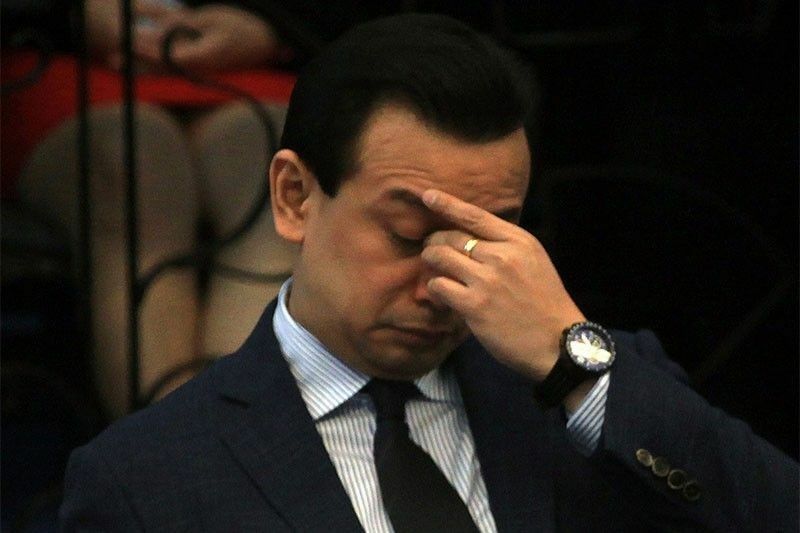 In an opinion piece in the news portal of The Manila Times, veteran journalist Jojo Robles shared what he knew about an alleged plan from Senator Antonio Trillanes IV whom he accuses of concocting a plot to oust President Rodrigo Duterte from his position. According to Robles, the opposition senator Trillanes accused the president of attacking him while he was on an international trip to Israel. This, however, Robles says is not true. He says that the president was simply reacting to a source telling him that the senator and members of the opposition were planning to remove him from his presidency. “The sources told me that Duterte recently discovered a plot supposedly backed by the US Central Intelligence Agency to forcibly take over the government in Manila; among the chief plotters, these sources said, was Trillanes. It was not immediately clear what the role of the senator, who was involved in at least two coup attempts during the Arroyo administration, was in the takeover plot, however,” writes Robles in his article. Robles claims that his sources told him that after Duterte had heard of the news, he immediately sent National Security Adviser Hermogenes Esperon Jr. to Langley, Virginia, USA, to tell the CIA to leave the Philippines alone. 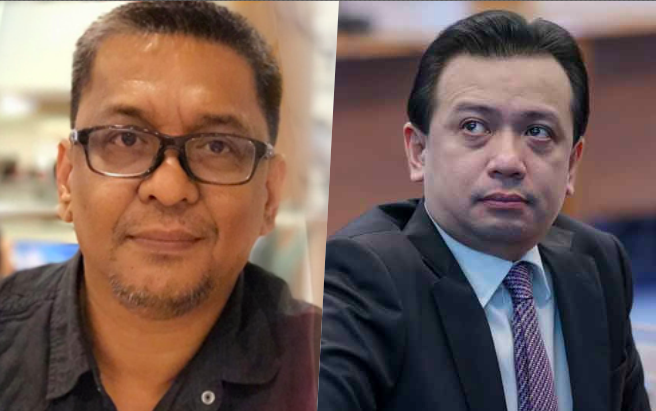 He claims that Trillanes has connections within the CIA and could be using them in order to follow through his plan. 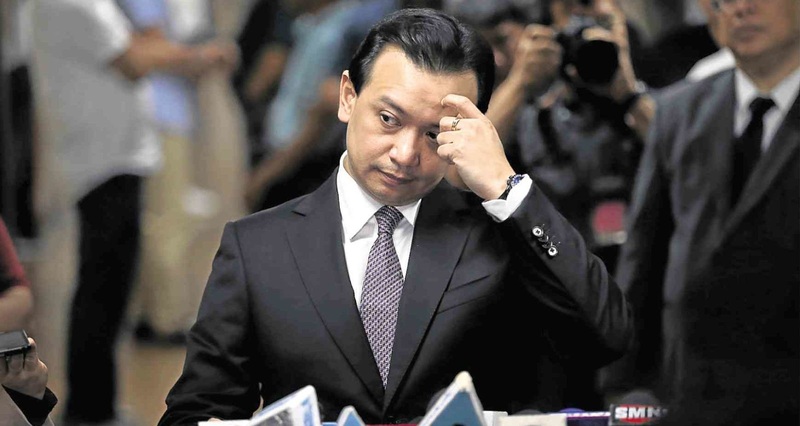 "Trillanes, of course, had long been bragging of his "American connections" which supposedly include excellent ties with the CIA," Robles said. “Esperon’s visit to Langley was intended to prevent support for Trillanes in case the takeover plot was launched,” he added. "Because the plot supposedly involved taking over the government while Duterte was away, there was no time to lose. While Esperon was in the US to talk to the CIA, something had to be done in Manila about Trillanes, who might go ahead with the plot even without the support of the Americans," he added. He also says that there was a concern with Duterte’s Proclamation 572 that revoked Trillanes’ amnesty from being involved with the 2003 and 2007 mutinies. According to Robles, the proclamation was hurriedly done by Duterte, writing it as a revocation instead of “ab initio”. Robles says that the former means that it was valid from the beginning but was taken back, while the latter means that it was invalid from the start. This is was lawyers in support of Trillanes’ have been arguing about since the proclamation came out. This, however, he says is a minor issue. He supposes that the Duterte administration is simply thinking about its next move against Trillanes. But Robles is told that the senator will be imprisoned, and is just a question of when and how. Robles then goes on to say that the Duterte administration must act quickly, for there may be a chance that Trillanes gets the side of the people, considering that many media outlets are covering the situation of Trillanes in his favor. “The administration may have dodged a bullet when it discovered the plot to remove Duterte while he was away. But now it should act quickly on the problem of what to do with Trillanes, or it might as well not have found out about the senator’s latest putschist adventure and allowed him to take over,” Robles said.